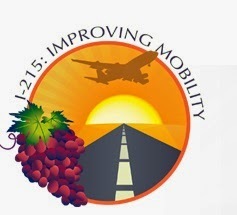 There will be lane and ramp closures along the 215 Freeway between Scott Road and Nuevo Road each night in this coming week by construction crews working on the freeway widening project. 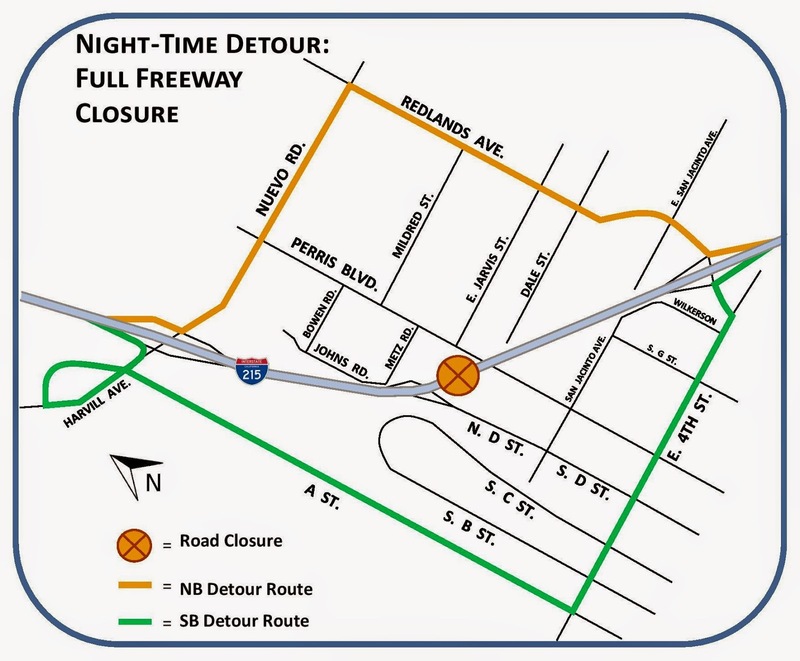 Between Jan. 26 to Jan. 29, from 9 p.m. to 5 a.m. and on Jan. 30 from 10 p.m. to 6 a.m., construction crews will shut down lanes on the 215 Freeway. Between Scott Road and Nuevo Road, crews will be working, but there will be at least one open lane northbound and southbound except between the 74 West/Redlands Ave. exit to Nuevo Road. Check with the map below for a detour. Full ramp closures are expected during the same days and hours. The northbound on and off ramps for Newport Road and Highway 74 West will be shut down, as well as the southbound on and off ramps for Nuevo Road. 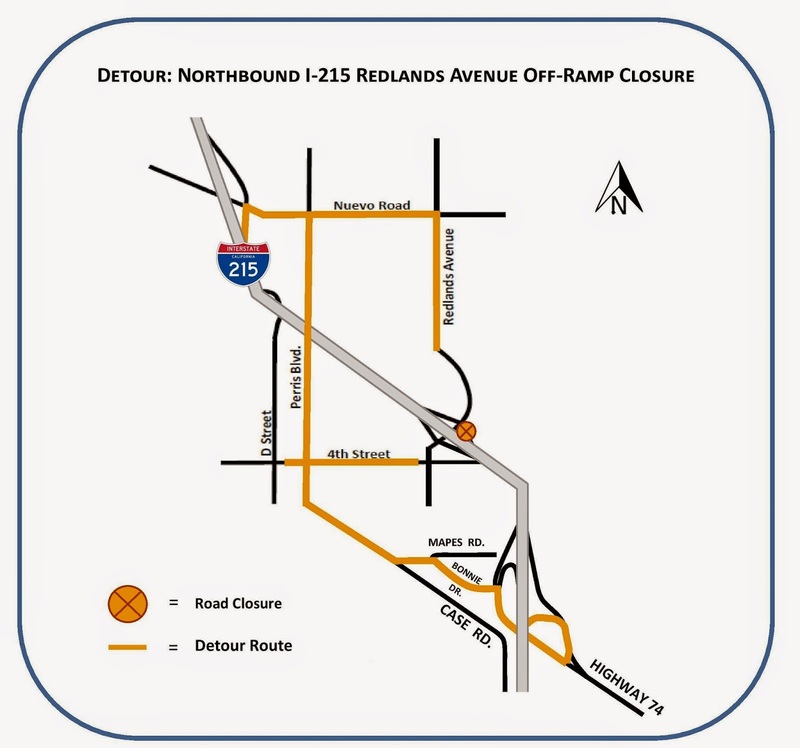 Please see the following map for a suggested detour around the ramp closures.